Lexus will launch a Tokyo Motor Show Edition of its LFA supercar at its home motor show in autumn. 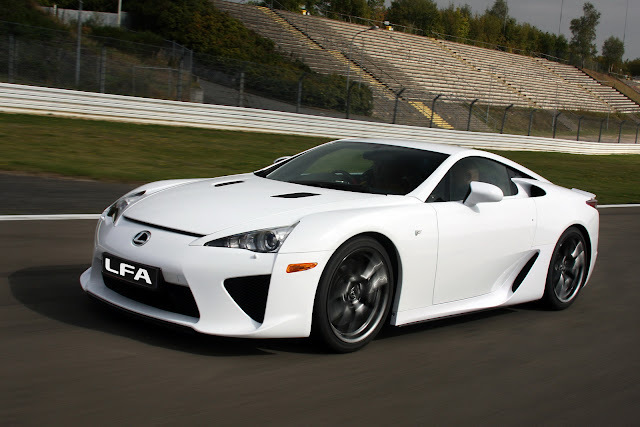 This edition of the LFA, the second after the Nürburgring special, will sport an unpainted carbon roof and rear spoiler and will cost around €40,000 (US$54,500) more than the “normal” production model. Coming a little down to earth, Toyota is readying a successor to the Supra coupe of the ‘90s. Although the company has officially denied such a project even exists, the same sources insist that an unsanctioned RWD sports car is currently under development. Toyota, which has abandoned the sports car segment for quite some time to focus on hybrids, is also said to be working on a front-wheel drive performance car that is expected to be a GTI-rivaling version of the CT200h hatchback.